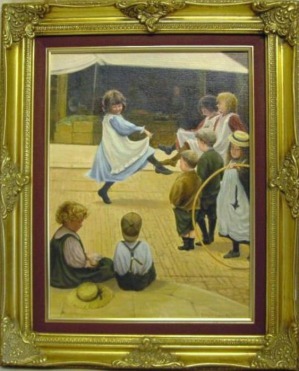 This after painting of mine is based on the original by Eva Roos dated 1899 with slight changes to back ground etc. She is believed to have lived and worked in the Hampstead area of London in the late 19th and early 20th century. Born in London , Roos, a painter and book illustrator, had her training in Paris . 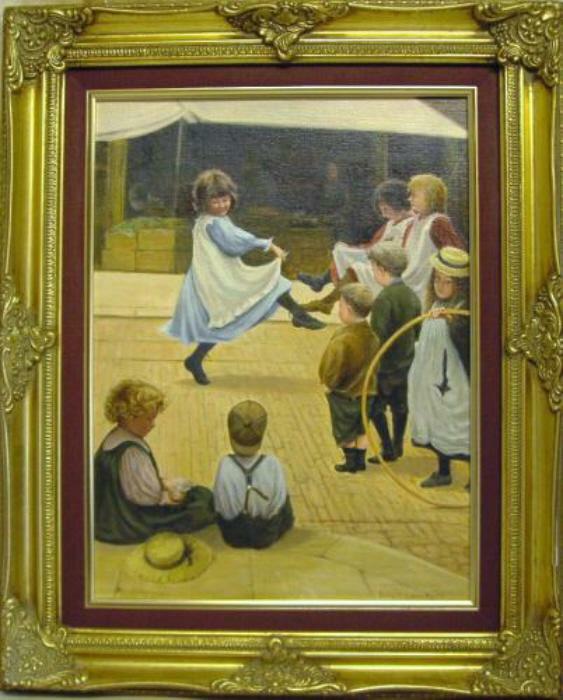 Eva Roos produced this genuinely charming study of street life at the very end of the Victorian era. "Note that the back-to-front hat worn by the little boy sitting on the pavement was a mark of ”street cred” long before our time!"